A Northampton toy store took delivery of 'the nation's number one car' this week - 100 yellow-and-red Cozy Coupes. Michelle Lilley, Head of Cozy Coupe fleet operations, said: “We’re thrilled to release this limited number of Coupes for the first new registration of the year. It’s the perfect affordable first car for keen motorists. 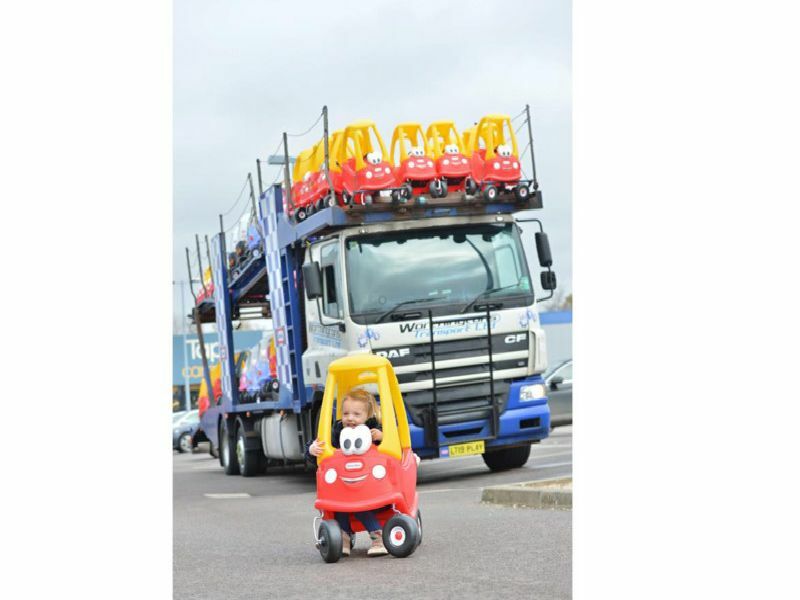 A truckload of the iconic toddler-sized hatchbacks by Little Tikes was delivered to the Smyths Toy Store at Nene Valley Retail Park. This weekend marks the release of the 2019number plate for UK vehicles - so all of the pint-sized convertibles came with a '19' reg plate. Little Tikes claim the Cozy Coupe is the UK's number one selling car and sold 160,000 units in 2018 - outstripping the Ford Fiesta by 66 per cent. Michelle continued: Were encouraging Cozy Coupe enthusiasts to head online or in-store to look at the range of Coupes within the fleet."